The action dedicated to the World Anti-Trafficking Day was organized by the Department of Social Policy of Ivano-Frankivsk Oblast State Administration, the Department of Youth Policy and Sport of Ivano-Frankivsk City Council and the Charity Fund "Caritas Ivano-Frankivsk UGCC". As part of the event, the children's commands "Caregivers", "Protected" and "Informed" took part in an improvised quest, answering the question of safe travel. Representative of the Department of Youth Policy and Sports Nazar Kuzemka said that the problem of getting our compatriots into slavery abroad is not new, but remains relevant. In various circumstances, people become victims of labor or sexual exploitation, they are forced to beg. The possibility of traveling to Europe without visas, according to the organizers of the information campaign, increases the risk of slavery. "To avoid being in such a situation, try to get legal employment. Never give out your documents to third parties. Before the trip, make copies of the documents certified by the notary and leave them at home. It will be easier for them to recover, "he stressed. Natalia Kozakevich, Executive Director of the Charitable Fund "Caritas of the Ivano-Frankivsk UGCC" also believes that traffickers have become more active in Ukraine's rapprochement with the EU. She advised to carefully read the terms of the contract with employers, always have a copy of the passport and visa. The information campaign "Travel safely" was attended by specialists of the Department of Internal Affairs of Ukraine in Ivano-Frankivsk region. In communicating with the participants of the event, they gave advice on how to act abroad in case of loss of documents, talked about the peculiarities of the introduction of visa-free regime of Ukraine with the EU, responded to various questions about the procedure and conditions for the issuance of biometric documents for traveling abroad. During the action, it was reported that since 2004, 188 people were trafficked, most of them in Russia and Poland. According to one study, 40% of Carpathians are vulnerable to this phenomenon. Every fifth Ukrainian is ready to accept a risky offer. According to the International Organization for Migration (IOM) estimates, since the independence of Ukraine, 230,000 Ukrainians have fallen into this situation. 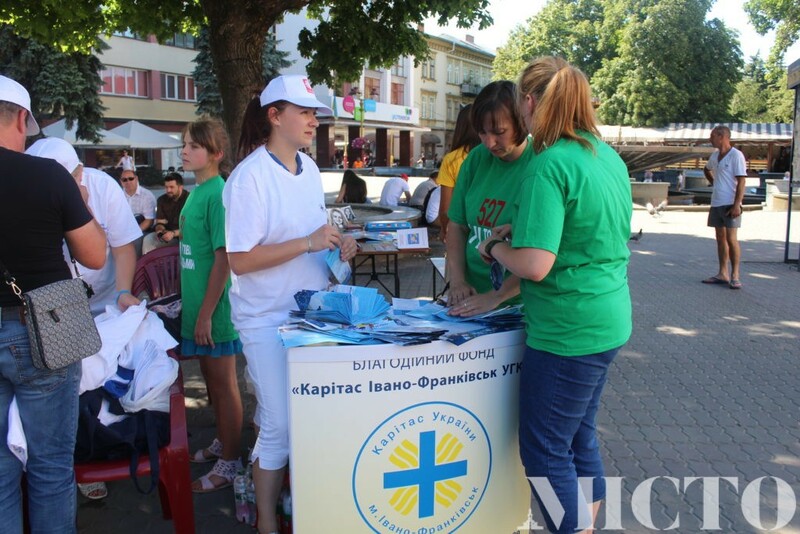 Residents of Ivano-Frankivsk and city guests during the rally talked about their rights and social assistance. During several hours in Vichemo Maidan, the organizers posted posters on counteraction to trafficking in human beings, and experts from different institutions provided advice on safe travel abroad.